The beauty of traveling is you never know what unplanned adventures you may have an opportunity to experience. 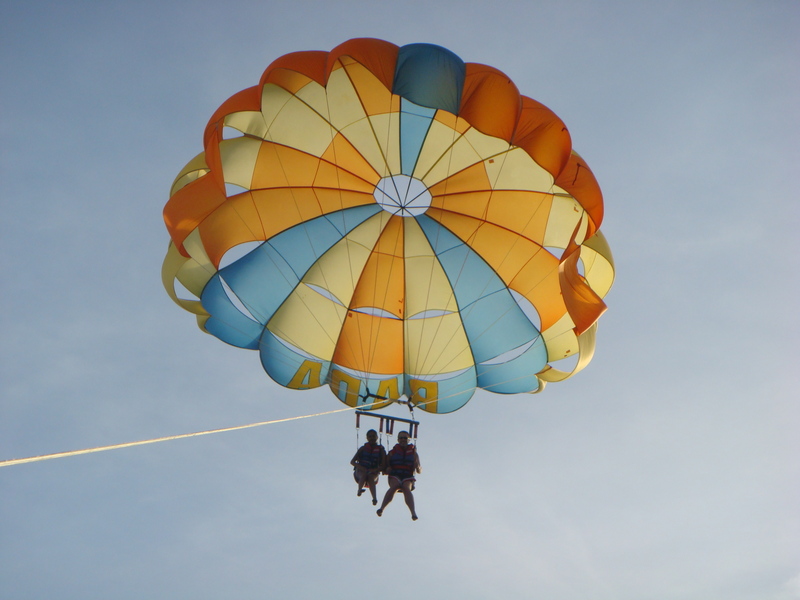 We never really thought about parasailing until we were in Borcay, Philippines. This touristy beach destination had various outdoor activities including parasailing set up for the adventurous. Soaring high in the sky while being harnessed to a parasail, which would be towed by a speeding motorboat, sounded awesome. We were thrilled. After being fastened into our harnesses, we slowly drifted up into the sky. Eventually we were high above the waters, having a bird’s eye view of Borcay. I have to admit we were both expecting to experience an adrenaline rush. Instead we had a calm and relaxing ride. Not all adventures turn out to be as you expect. Although the views from above were beautiful, parasailing was not too exciting for us. 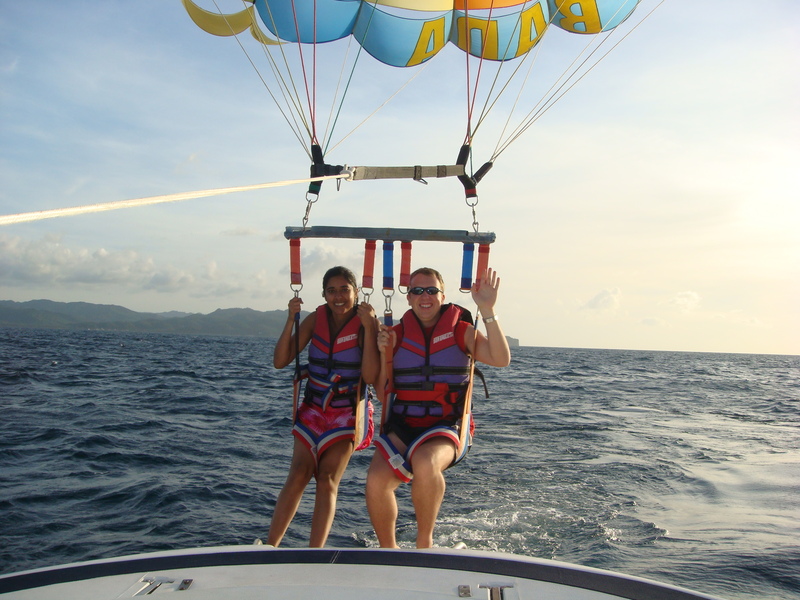 If you are looking for an adrenaline pumping activity, parasailing would not be high on my recommendation list.